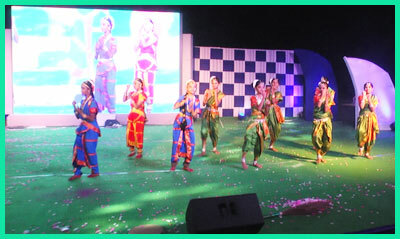 Dance is a performing art form consisting of purposefully selected sequences of human development. This movement has aesthetic and symbolic value, and is acknowledged as dance by perfomers and observers within a particular culture. The school offers dance classes in both eastern and western classical dance along with fusion, creative and other modern forms of dance. These classes, apart from developing poise and grace among the students, make them aware of the rich cultural heritage of India. Indian Music is a part of our curriculum in Oak that begins at the early years stage itself with nursery rhymes in various languages. The early learners build basic skills and sing songs in a free play way. At the secondary level, our learners graduate in learning to sing to the lyric, writing and composing patriotic songs, songs for seasons and festivals, prayer songs and those on sports are practised and presented on various occasions throughout our academic year. Oak has a specially designed music studio too under the best faculty. 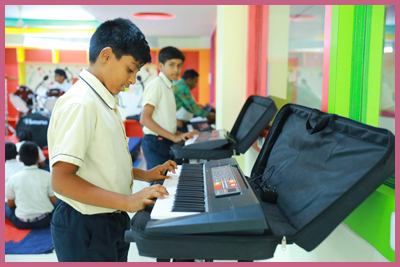 A wide spectrum, ranging from the melodious eastern to the dynamic western is offered to the student community by our exceptionally talented music department. Classical vocal too is emphasised. We offer Tabla , Mrithungam, Key Board and Orchestra.